Nintendo doesn’t come out with a ton of hardware in-between system launches, but the peripherals it does come out with have a history of being pretty quality. That being said, the Poké Ball Plus may be the nicest little game-specific system accessory Nintendo has sold yet. 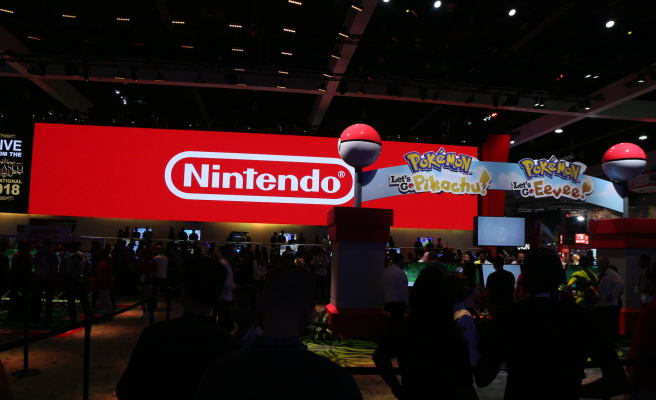 At Nintendo’s big, honking E3 booth I had a chance to go hands-on with the little golf-ball sized device. Nintendo was not allowing us to take video or pictures of it during use, but rest assured, this is exactly what it looks like in real life. For what should by all means be a gimmicky little device, Nintendo put a thoughtful amount of engineering into the little ball, which was surprisingly fun to play the new titles with and seemed to offer a lot more than nostalgia for prospective owners. Build-wise this thing feels nice and hefty with an experience that feels a bit more immersive than using a Joy-Con because you are holding a little ball rather than flicking a controller. Additionally, there are some lights on the joystick/trigger that light up to showcase when you’ve caught a Pokémon or are housing one. You can charge the Poké Ball Plus via USB-C and you’ll get about six hours charge on it, the company tells us. You can navigate your character through the game with the joy-stick and push it in to make selections. When it comes to actually capturing Pokémon that you encounter, you can sort of flick the little ball — there’s a strap and a little ring to ensure the ball doesn’t go flying. Will this be something that drastically improves your experience playing the varieties of Pokemon: Let’s Go? No, but you probably won’t feel like an idiot for spending extra money on something your system’s Joy-Cons can already do if more fun is an acceptable system spec. It’s cool, it’s cute and tiny and, similar to the Pokémon GO Plus wristband, you’ll be able to connect this to your phone and catch the little creatures on-the-go, so you are getting some added functionality if you’ve bought into Niantic’s Pokémon world on mobile, as well. Other features beyond being able to house a Pokémon that you have captured on the move is that you can actually shake the device and hear the sound of the particular Pokémon you currently have captured. As far as fun little features go, this has a lot to offer fans. We don’t have an official price for the accessory itself, but Nintendo did reveal today that it will be included with a $100 bundle with a copy of Pokemon: Let’s Go Pikachu or Eevee. You’ll also get the mythical Pokémon Mew with your Poké Ball Plus.